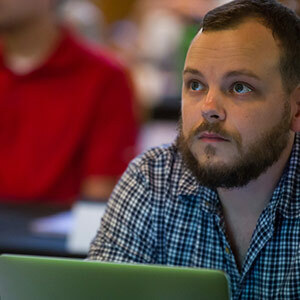 Web development is a high-growth career track, and Vanderbilt University Coding Boot Camp teaches you the specialized skills for full-stack web development. Through a fast-paced, immersive curriculum, you’ll learn in-demand front-end and back-end technologies. Simulate a professional work environment by teaming up with your peers on real-world projects. Put your new skills into practice by building complex applications that will bolster your professional portfolio. Receive a Certificate of Completion from Vanderbilt University. Benefit from a wide set of career services: resume and social media support, technical interview preparation, portfolio reviews, soft skills training, coaching, and more to help you launch or advance your career. As you embark on this 24-week journey, you’ll dive into a challenging curriculum and learn more than you thought was possible. With an engaging classroom environment and collaboration with your classmates, you will get hands-on experience in full-stack web development. Those looking to find a new career or company—or make the move from a non-technical position to a technical one. Those who are interested in freelancing to supplement their current income—or contribute in a bigger way in their current job. Those with the ambition to grow in their knowledge or add to their skill set while in college. Classes held two weekdays from 6:30 to 9:30 p.m. and Saturdays from 9 a.m. to 1 p.m. 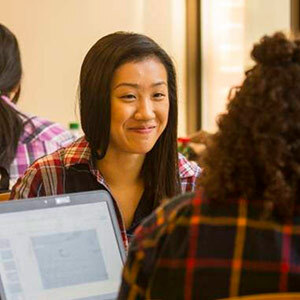 Contact an admissions advisor at (615) 200-1138 or fill out the form below if you’re ready to learn more about Vanderbilt University Coding Boot Camp.